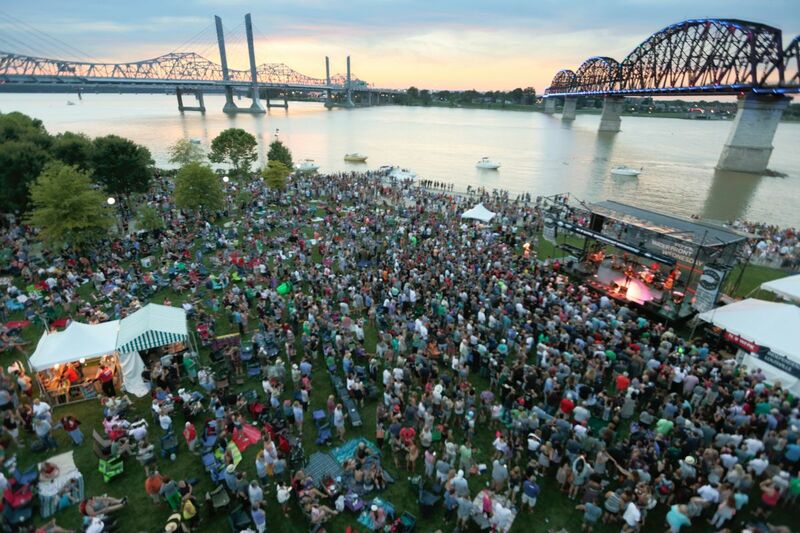 The free concerts take place on the last Wednesday of every month, April through September, on the Big Four Lawn in Louisville’s Waterfront Park. The Big Four Lawn is located next to the Big Four Pedestrian and Bicycle Bridge. The shows open at 5 p.m., with music beginning promptly at 6 p.m.
WFPK Waterfront Wednesday is produced by Louisville Public Media and the Waterfront Development Corporation. The event is made possible by the generous support of Goose Island Brewing Company, Republic Bank, Passport Health Plan and Kentuckiana Toyota Dealers Association. Special thanks to Friends of the Waterfront. The Waterfront Development Corporation (WDC) and WFPK first partnered in 2002 to produce an innovative concert series that showcased local and emerging national recording artists as heard on radio station 91.9 WFPK. Each free concert attracts large audiences to mingle, dance and enjoy the river in a family-friendly park atmosphere with a cash bar and upscale festival fare. The event has become a thriving city institution, drawing thousands to Waterfront Park and helping Louisville secure an international award as a top city for festivals. In addition, the Southeast Tourism Society has named WFPK Waterfront Wednesday as one of their Top 20 Events. Previous acts include Old Crow Medicine Show, My Morning Jacket, Over the Rhine, Todd Snider, Iron and Wine, The Mavericks, The Avett Brothers and many others. View the complete lineups from previous years here.